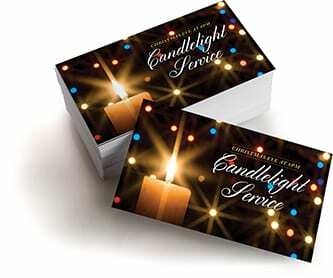 Reach beyond the mailbox with quality printed church promotions that offer more ways for you to keep members and newcomers engaged with your church. From connection cards and door hangers, to welcome booklets, banners and church bulletins, Modern’s effective outreach tools will keep your church top of mind, drive awareness and increase involvement. Modern provides exclusive, nonprofit pricing for churches.